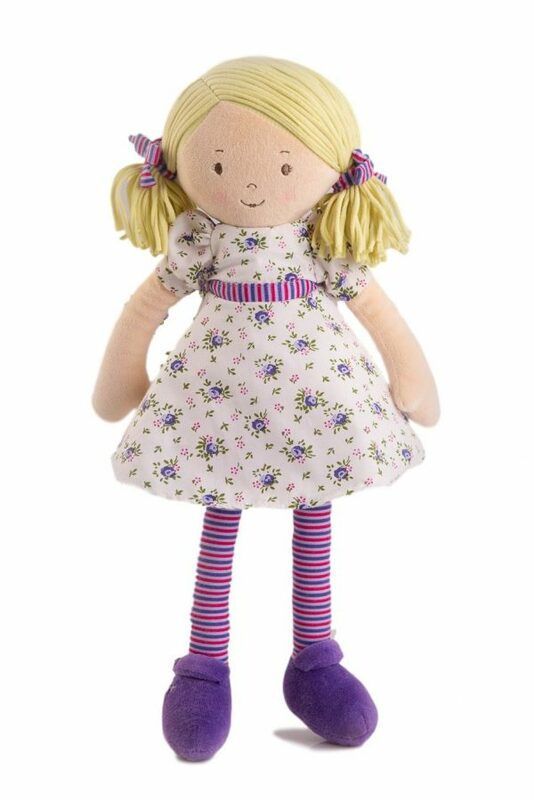 Peggy is a traditional ragdoll with a stunning floral purple dress and soft fabric shoes. 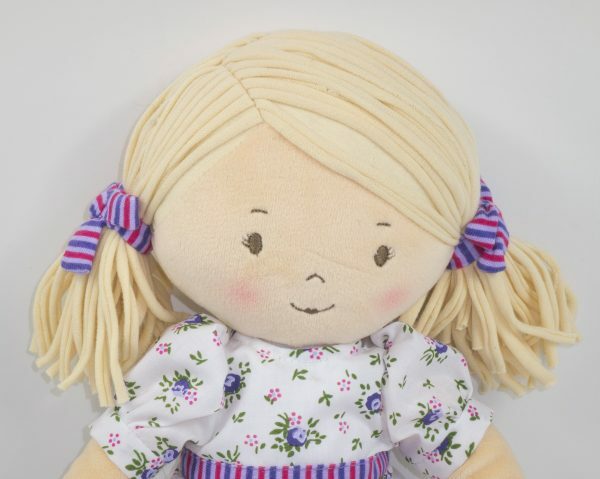 Handmade of quality fabrics, she is designed to be kept as a special keepsake and makes a cuddly companion for your child. 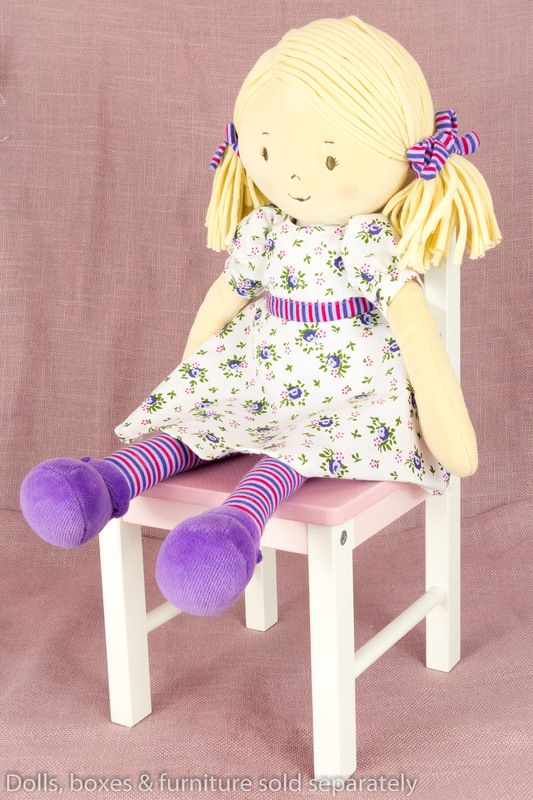 Please note: Furniture displayed in photo is not included.